Zapier is for busy people who know their time is better spent selling, marketing, or coding. Instead of wasting valuable time coming up with complicated systems - you can use Zapier to automate the web services you and your team are already using on a daily basis. Why do developers choose Zapier? Why do you like Zapier? Why do developers choose Usersnap? Why do you like Usersnap? What are the cons of using Zapier? What are the cons of using Usersnap? How much does Usersnap cost? What tools integrate with Zapier? What tools integrate with Usersnap? What are some alternatives to Zapier and Usersnap? I am one of the few beta testers of the integration between Usersnap and GitHub Issues. My webapp source code is hosted on...well github and I am very happy I can get a visual feedback directly into the Issues. I don't need to open my email and to create an issue and to re-attach the sreenshot over and over again. Hey! I have been using Zapier for a while and I get updates for everything that I do. :D Sports, gmail, and pretty much everything else! Allows the user to send a screenshot and comments with a bug report. Also automatically sends all error information including console logs and client environment information directly to a BitBucket repo and Slack. 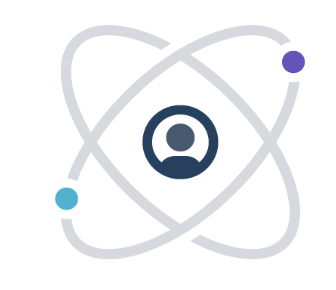 Create issues quickly, allows end-users to create issues easily, and integrates with JIRA for immediate developer reaction to ongoing tasks or defects. Zapier is used to catch Webhooks from Shopify to do things like customer follow-up, cart abandonment and other cool things. Merge request trigger from Gitlab by webhook. Post messages/alerts to Chatwork to dev team. This service saves so much time integrating different API services and triggering different cloud apps. Monitoring new customer sales, keeping MailChimp lists up to date with current subscriber information. Sends messages to Slack when code is committed in BitBucket or when deploys have launched. Easiest way to get screenshots and annotations for MVP users.